Wow! What a year 2013 was. I can honestly say that it was the most challenging year of my life. Yet, for that reason, 2013 changed me in ways that would never have happened had I not gone through every one of those experiences and roller coaster emotions. I know I still have a long way to go, but I am in a better place than I have ever been. I still suffer from Major Depression, PTSD and Borderline Personality Disorder, but my prognosis is as positive as it can be. I have found the right medication that keeps my whirlwind of emotions in check. I have weekly therapy where we work on finding the grey areas of my life, rather than living in the black and white (I love you/I hate you) and I have released much of my childhood trauma. 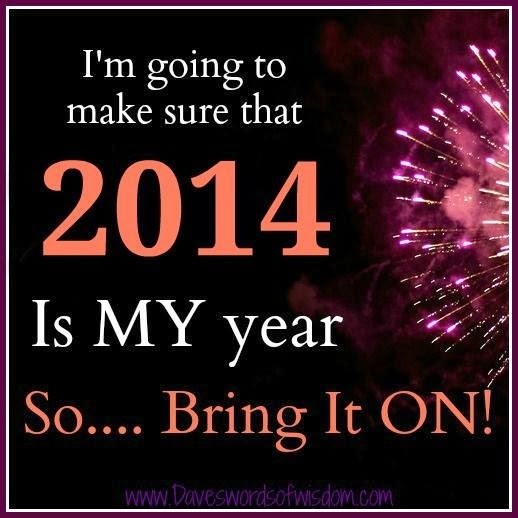 Ok, on to 2014! I have made the jump to professional writer!! Currently I have an amazing project that I just signed on contract and I have a couple smaller projects in the hopper. I plan to spend this next year as immersed in writing as possible; workshops, literary journal entries, writing groups and ALOT of reading! Reading makes any writer better. Then there is my BLOG; I've thought about starting different blogs with specific topics. For now, I am happy with where I am going with this. Who knows what the future might hold. I have gone back to school full time. Double majoring in Communications with a PR emphasis and English with a Writing emphasis. It seems like a lot, but I absolutely LOVE learning and research. The goal is that one day I will write full time, but also promote, not only my books, but other authors as well. I ultimately want to use the platform behind (Behind Her Smile) to counsel women and children facing trauma issues and mental illness. Lots of goals...but one day at a time. First, I have to get through this semester! No matter what, I am going to use 2014 to continue this positive momentum to greater peace, love and acceptance for the woman I am becoming. Today, I am beautifully 40 something and, dare I say it, potentially "happy"!